Dance conference, Dance, Festival, Anahita, Apoorva Ravindran, Vocal. 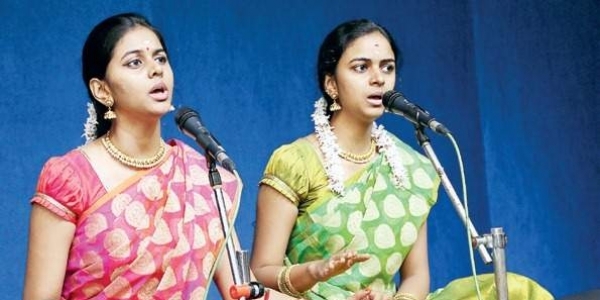 Vocalists Anahita and Apoorva are among the most promising youngsters now in the Carnatic music field. 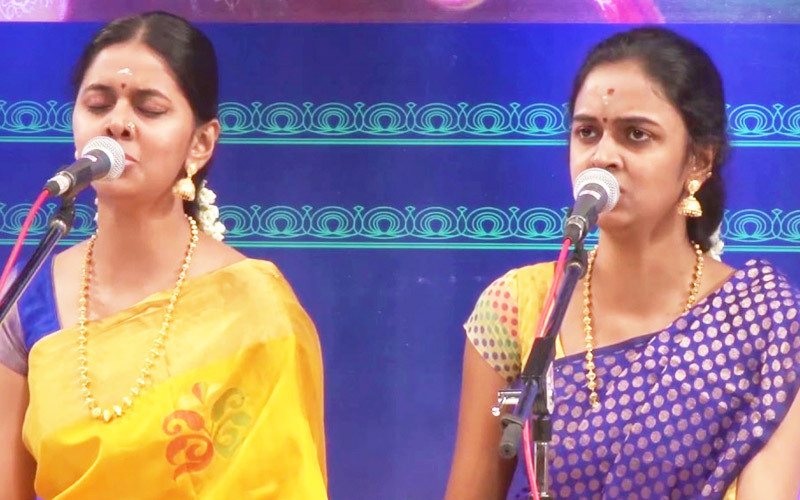 The sisters had their initial musical inputs from their paternal grandmother, Shanthi Jayaraman. By the time Anahita was six and Apoorva nine, they were placed in the care of Neyveli Santhanagopalan. Parents Lakshmi and Ravindran are passionately involved in furthering the music of their children. In 2006, they came under the tutelage of ‘Chitravina’ Ravikiran, with whom they have been training for the last five years. Under a scholarship scheme of Sanathana University for propagation of the Ariyakudi bani, the sisters are also learning from Alepey Venkatesan, a direct disciple of the late Ariyakudi Ramanuja Iyengar. Training under Ravikiran is facilited by CCRT scholarships from the Government of India. 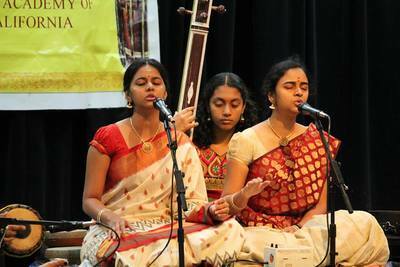 Anahita’s debut concert was at the age of nine, but Apoorva outdid her sister by making her debut at eight; both concerts took place in Chennai. Apart from vocal music, Anahita is learning to play the chitraveena, and Apoova, the violin. Only time will tell whether the sisters will become well known vocalists, instrumentalists or straddle both as their music career blossoms. 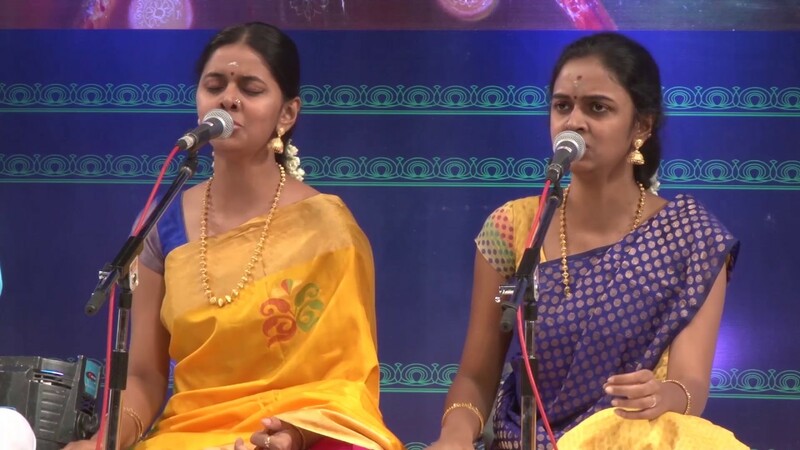 The sisters have been presenting both duo and solo concerts in many sabha-s in Chennai and on various TV channels. They have also participated in many of their guru’s audio and video productions. Anahita has also been singing for Vyjayantimala’s dance programmes during the last two years. about thirty odd prizes, including many first prizes, during the last nine years. Going by their dedication, hard work and parental support, the sisters have a bright musical future.